View of S tower from SSE, also providing view along deck of bridge. Oblique aerial view from NNE. 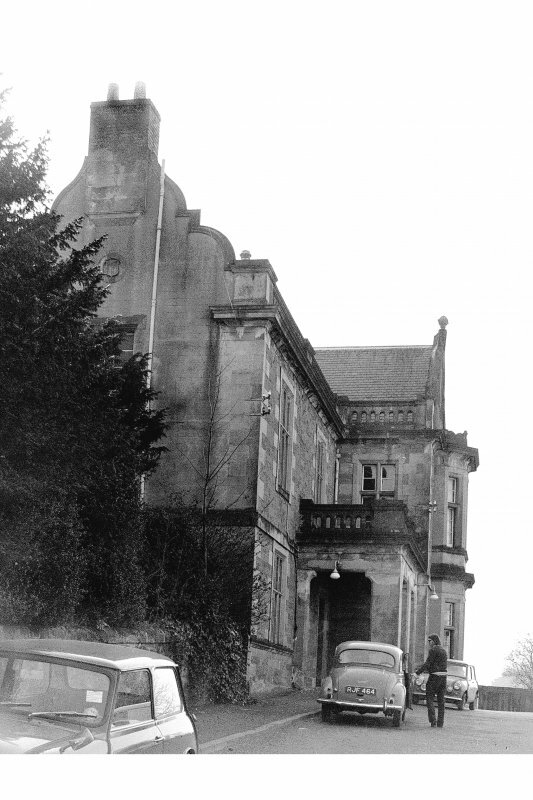 For former tollhouse (adjacent to S), see NT53SW 209.01. (Location cited as NT 545 346). 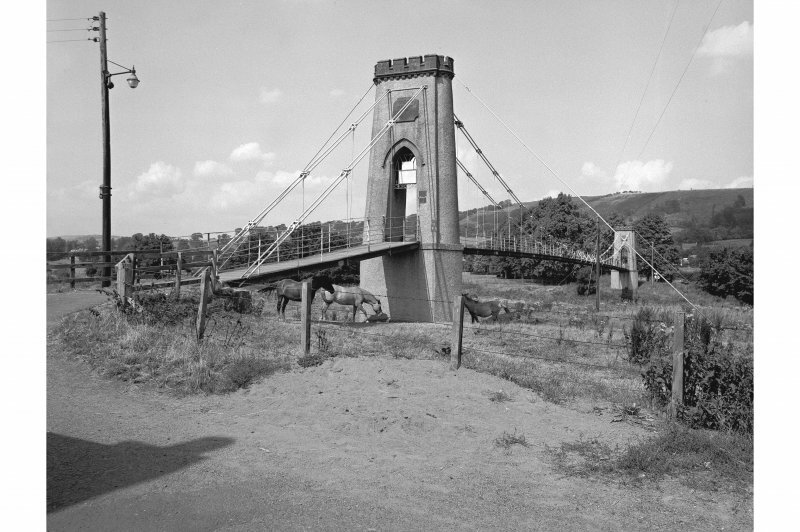 Suspension bridge, built 1826. 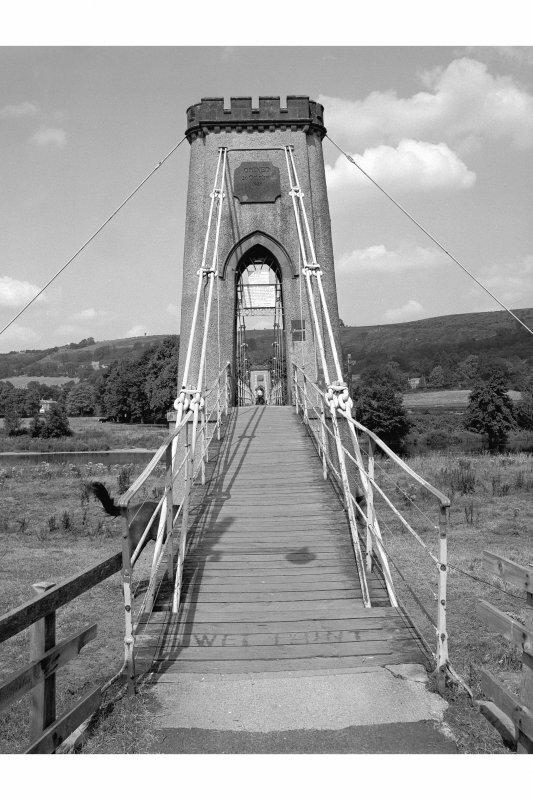 A footbridge, with iron-link suspension chains, a wooden deck, and Gothis stone pylons. The vertical suspenders are iron rods, and there are light iron railings. 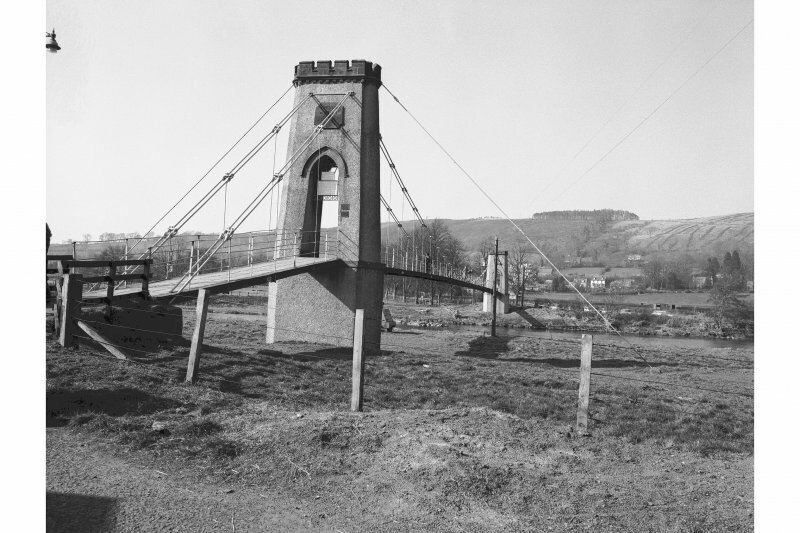 Suspension bridge of Samuel Brown chain type. Built 1826, probably by J.S. Brown, engineer, and Redpath, Brown and Company, contractors. 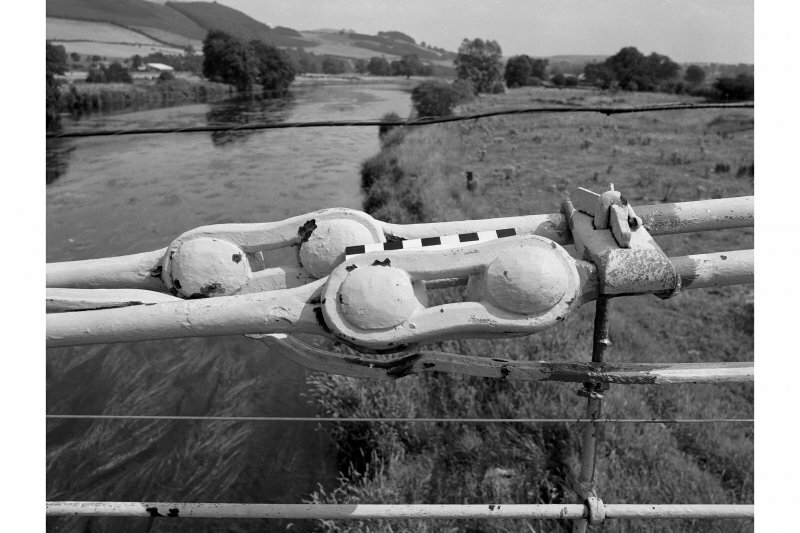 Castellated masonry pylons, two pairs of iron link chains on each side, iron rod suspenders to wooden deck, iron railings. 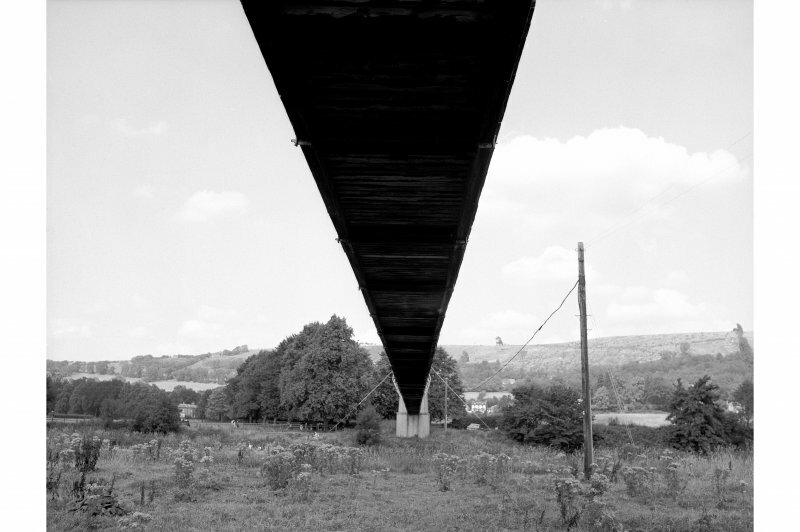 Span about 300 ft (91m). Private footbridge. Chain Bridge, 1826. Redpath, Brown and Co. John Stevenson Brown was originally a smith from Lyne in Peeblesshire. Gothick pylons with corbelled and crenellated heads over pointed arched openings. 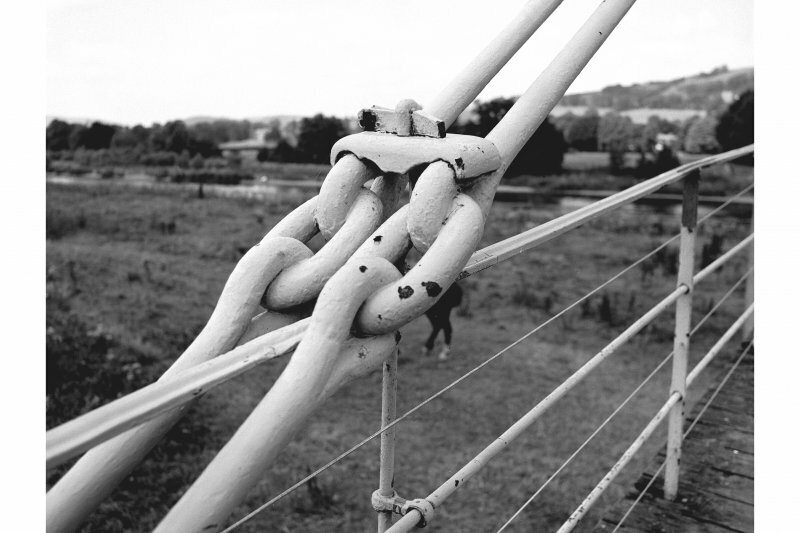 Blacksmith-forged iron chains, suspenders, stress and tension were artfully combined in this footbridge; it is also calculated to admit horses. Construction work by the Smiths of Darnick, who may have designed the accompanyoing charmingly scaled Toll-house (1826). Bridge completely reconstructed, 1991, with most unsympathetic new deck; this wouldn't have happened to a Chippindale chair of the same date. 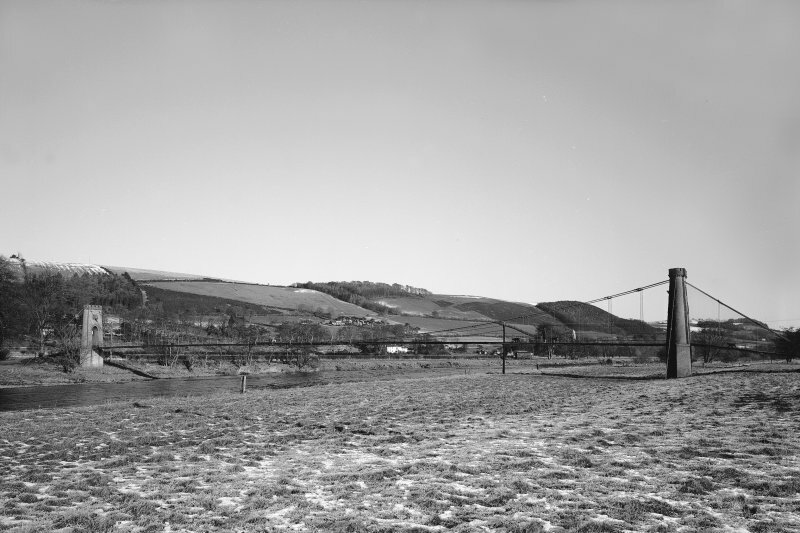 This suspension footbridge carries a path over the River Tweed to the NW of Chain Bridge Farm (NT53SW 209.00). The location assigned to this record defines the centre of the span. The available map evidence suggests that it extends from NT c. 54516 34638 to NT c. 54540 34546. Information from RCAHMS (RJCM), 30 January 2006. 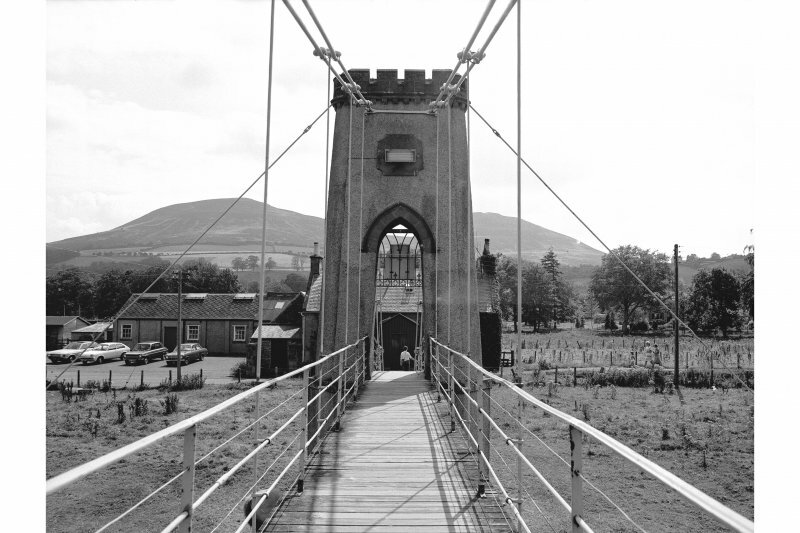 Tolls had also to be paid to cross the new bridge over the Tweed, which joined the communities of Melrose and Gattonside. 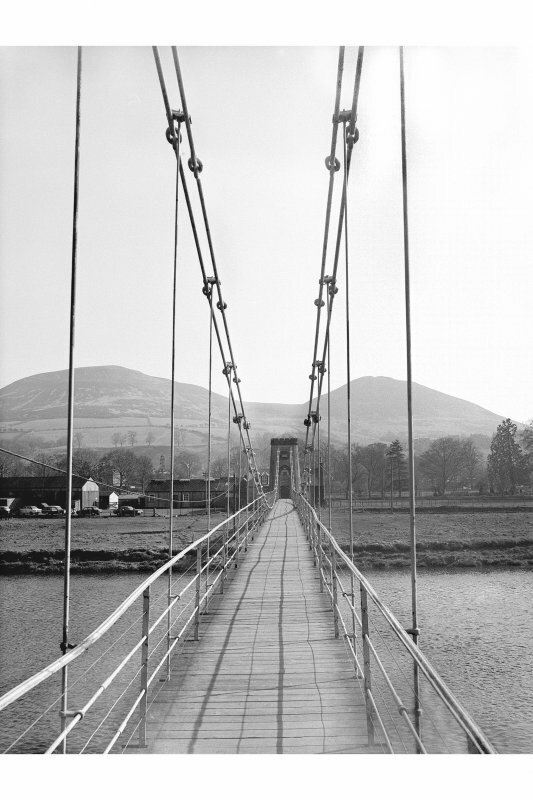 Constructed in 1826, it is a footbridge with iron-link suspension chains, iron rods as vertical suspenders and a wooden deck. The Chain Bridge figures 14 & 22.G no longer charges tolls, which was one of the factors in the abandoning of the use of the ford, a little further east. 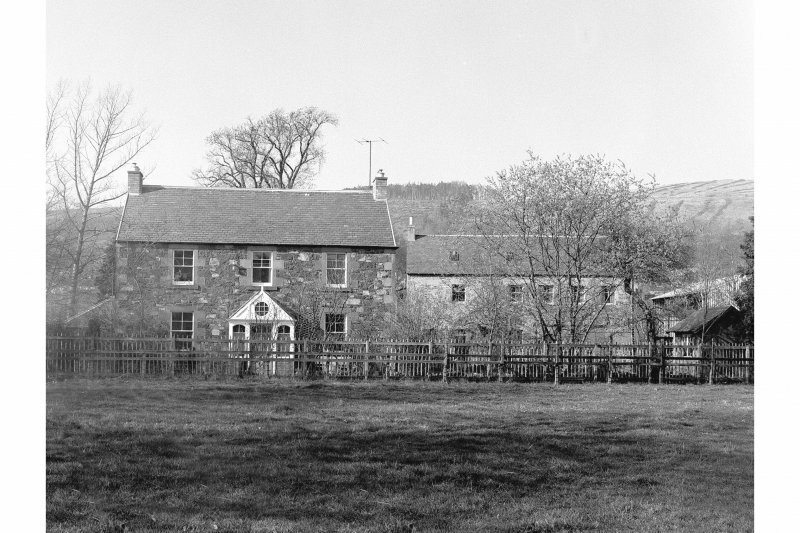 Chain Bridge Farm, at the south end of the bridge, is the former toll house figure 22.D. A single storeyed building, with an attic, its central door, which is now masked by a timber porch, was aligned with the bridge; and it was here that payment was made. 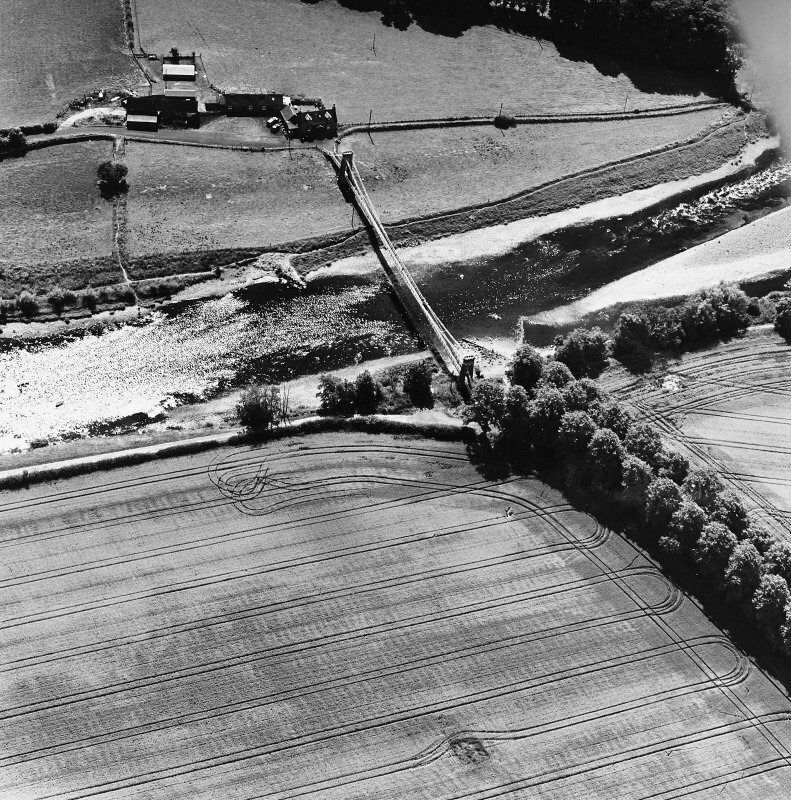 Information from ‘Historic Melrose: The Archaeological Implications of Development’ (1998). 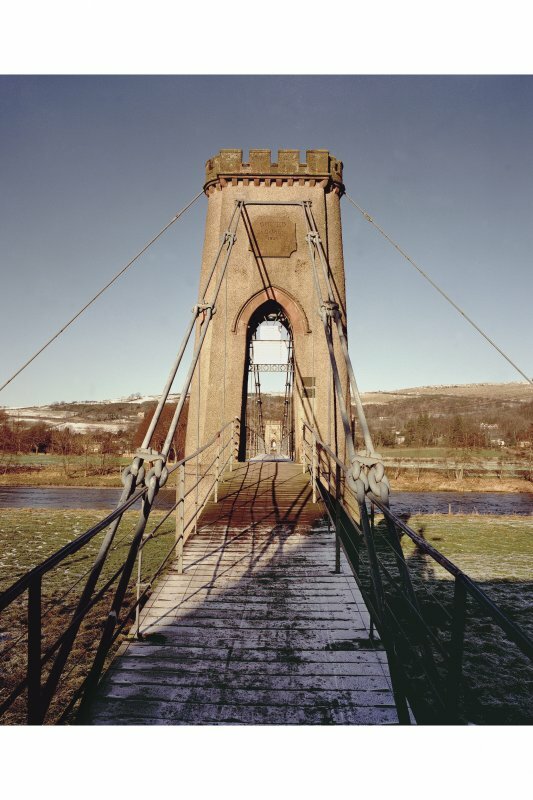 This iron suspension footbridge over the Tweed was erected in 1825–26 for use by pedestrians and horses. The work was undertaken by public subscription and the contractors were Redpath & Brown, Edinburgh. John S. Brown was the partner involved and he probably designed the ironwork. The masonry work was carried out by J. and T. Smith of Darnick for £600. Masonry towers on each bank, rising 38 ft above low-water level, support four suspension chains (two on each side) over a span of 296 ft. Their sag–span ratio is 1 :17.5 which was bold for its time. The tower saddles were rigidly fixed so that any temperature effects on the chains were accommodated by a small rise or fall of the deck. 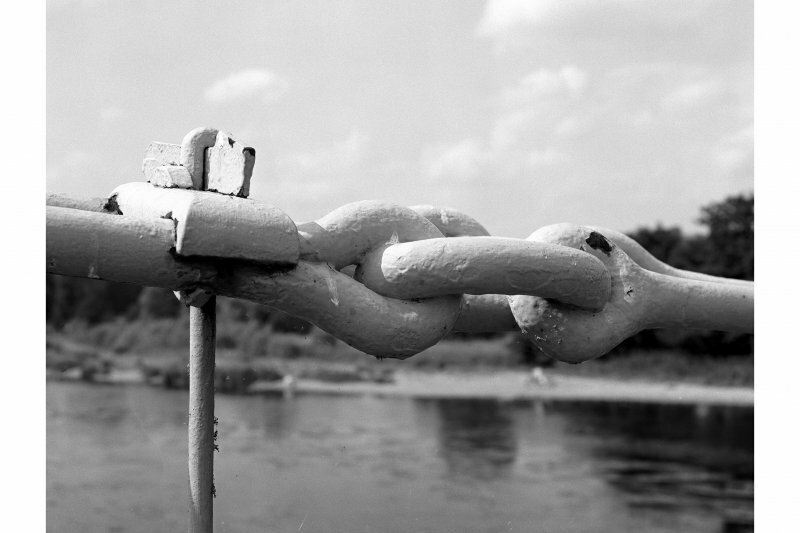 The chains consist of 10 f x 134 in. diameter eye-bar links connected by 7 in. long conventional links. The 4 ft wide timber deck with its associated handcrafted ironwork was of light construction and for 167 years exhibited quite lively oscillations in strong winds. 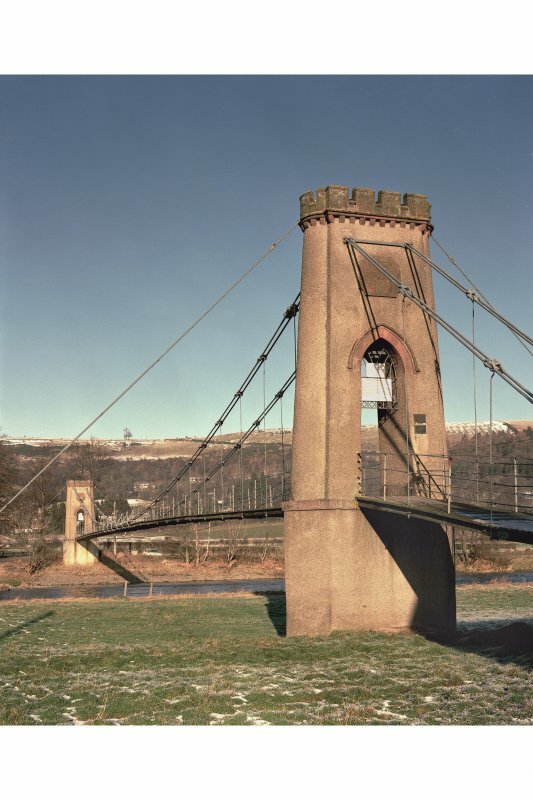 Concern for public safety by Borders Regional Council eventually led to the bridge being ingeniously strengthened in 1991-92, but with significant loss of its original ironwork and character. 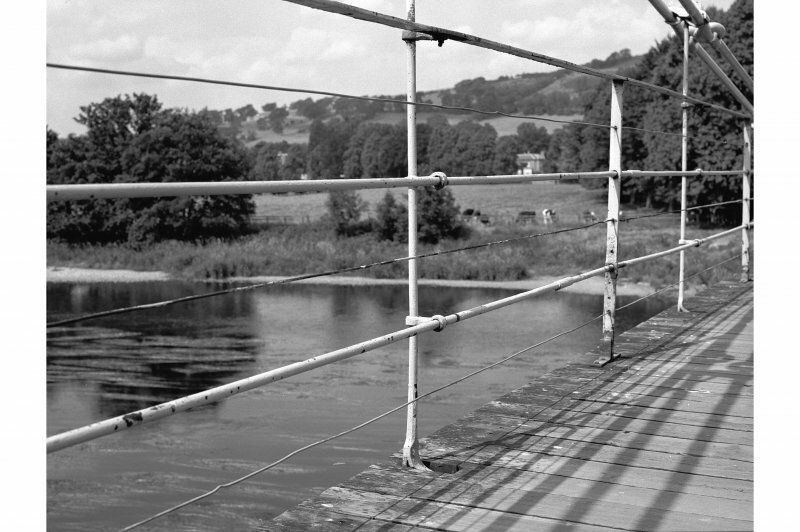 This involved replacing the original railings with substantial steel trusses, new hangers, saddles and anchorages. 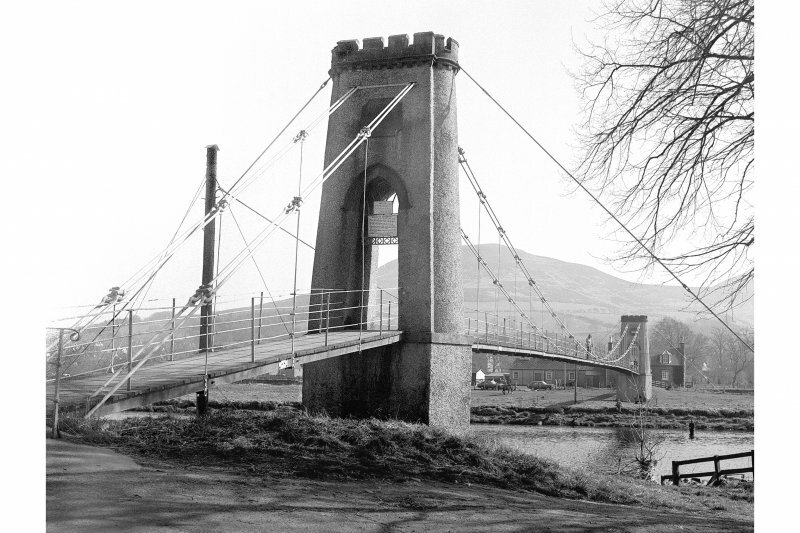 It also involved the provision of an additional steel-bar main chain on each side of the bridge to the same curvature, which involved widening the spacing of the original lines of chains forming each pair. 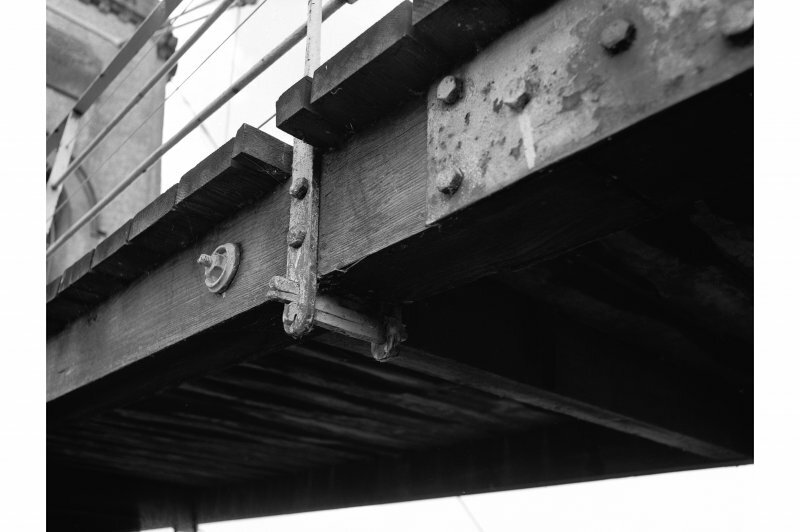 hangers and fixings, railings, saddle and a ship’s rudder (which was loaded with stones as an anchorage) are now preserved and interpreted in the ICE Museum at Heriot-Watt University, Edinburgh.